In 2010 South Africa became the first African nation to host the football World Cup. The country went mad for the game, and fans and supporters from all over the world flocked to the Rainbow Nation to take part in this exciting, and historical, event. Ever since, the sport has grown from strength to strength, with many budding South African footballers making it onto the world stage. You can get involved with gap year football coaching programme in Port Elizabeth, home to the impressive Nelson Mandela Bay stadium which hosted several of the World Cup games. Whilst the centre of Port Elizabeth prospers, there are many townships surrounding the city where local kids have little or no opportunity to play the sport that they love – and this is where you get involved. 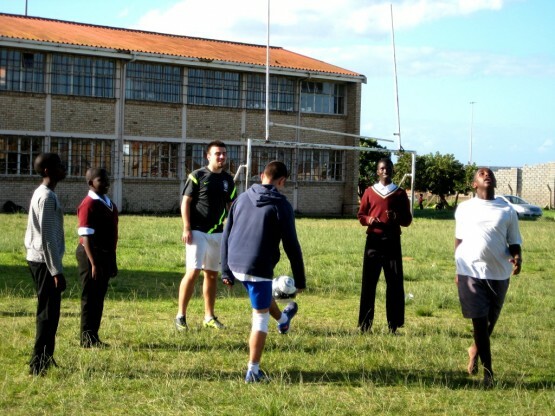 As a football coach volunteer, you travel around several township schools with other volunteers, bringing your favourite sports to these townships. You’ll be helping organise football matches and coaching sessions for keen football players from less advantaged backgrounds, giving them the chance to play and enjoy the sport they love so much. There is ample opportunity for you to play too – the kids love for you to get involved – and we also have great links with local football teams should you wish to play competitively in your free time too. This is a fantastic opportunity to spend your gap year football coaching as a volunteer. 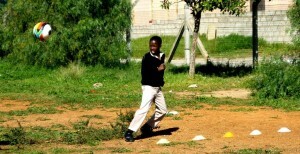 Bringing sports to the townships is so important, as often this is their only access to play, teamwork and learning something outside of a classroom. Many of the children have to rely on the schools to provide them with food, as their is little available at home. To bring smiles, joy and fun to these kids is one of the most rewarding things that you could do on your gap year or career break. Oyster welcomes volunteers of all backgrounds with a love for playing or coaching football. You can be of any level, as long as you are enthusiastic- from social footballers, those representing their school, club or university, and even those who have experience of coaching football- you will each bring something to this project. The kids that you are working with may develop to go on to some of the schools of excellency that we work with, so really giving them an incredible advantage in life. What would the funding of this look like? With how many other volunteers would you work together? Thank you very much in advance for taking the time to reply to me. Hi Leonie, thank you for your comment on our website. We usually have groups of about 20 on this project, so a really nice size. As for costs, this depends on the length of time that you go for. 5 weeks costs £1180 to include food, accommodation, project transfers, a few trips etc. 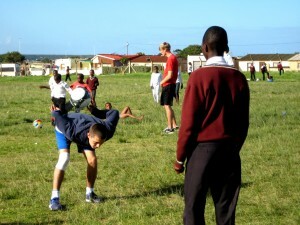 You can see full details of price here: https://www.oysterworldwide.com/gap-year/south-africa-volunteer-sports-coaching/#basic-price I hope that helps!